Correct as of 26th July 2014. I will periodically update this for major changes. William Falkland has spent six years fighting for the king. It’s four years since he last saw his family, and all he wants to do is go home; but first, to save himself from Parliament’s noose, he must play the part of Cromwell’s reluctant intelligencer. 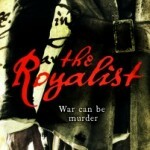 The first William Falkland book, the Royalist, is published by Headline in September this year. The second William Falkland mystery, featuring John Milton (a wonderfully colourful character, it turns out) will come out in 2015. We’re still debating the title, but expect a Paradise Lost quote. Bulldog Drummond (a character first created in the 1920s by HC McNeile) is a retired verteran of the first world war with too much restless energy on his hands and a penchant for adventure and trouble. I like to think of him as James Bond’s occasional uncle. 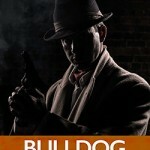 More than a dozen Bulldog Drummond books were written between 1919 and 1940, along with a similar number of movies. 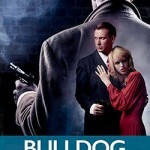 Ian Fleming cited Drummond as one of the influences behind the character of James Bond. 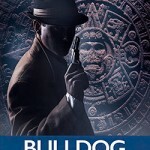 At present three Bulldog Drummond novellas are in the pipeline (Dead Man’s Gate (2014), The Faceless Men (due 2014), The Jaguar Mask (2015)). 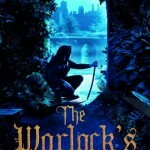 They will be available as e-books only through Piqwiq. 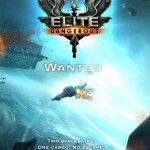 Elite: Wanted (May 2014 e-book, October 2014 hardcopy), a tie-in novel to the game Elite:Dangerous. 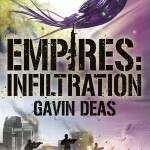 Co-written with Gavin Smith under the name Gavin Deas. 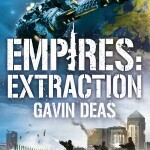 Empires: Extraction (November 2014), another partnership with Gavin Smith, co-released with Gavin’s Empires: Infiltration. 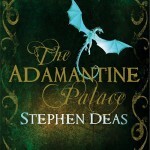 The Adamantine Palace (2009) is in print in UK/Australia/NZ/SA, France, USA, Germany and Poland and might or might not be on its way to Bulgaria. 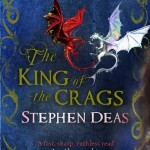 The King of the Crags (2010) and The Order of the Scales (2011) are in UK/Australia/NZ/SA, France, Germany and US bookshops but NOT Poland for reasons beyond my control. 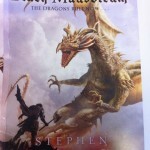 The Silver Kings series The Black Mausoleum (UK August 2012) is a stand-alone novel in the same setting as the Memory of Flames series. 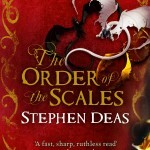 Dragon Queen (2013), The Splintered Gods (2014) and The Silver Kings (2015) pick up threads and characters from the Memory of Flames series and also pick up some threads from the Thief-Taker’s Apprentice series and The Black Mausoleum. There are no overseas deals for these (you’re not as sorry about that as I am) but it should be possible to get them in the US. That’s going to be that for the dragons at least for a while. 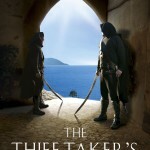 The Thief-Taker’s Apprentice (2010) is out in the UK and Poland. 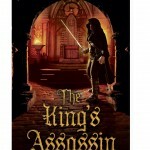 Parts two and three, The Warlock’s Shadow, (2011) and The King’s Assassin (2012), are out in the UK. Allegedly all three are available now in the US as both physical and e-book editions. 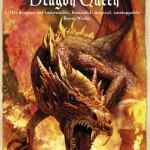 Some left-over threads of the story are picked up in Dragon Queen. The Nathan Hawke site has an interactive map and some extra short stories. All three books are out in paperback. An omnibus edition is available as an e-book and a print edition is on its way in later 2014 – the omnibus has all the extras included in it. 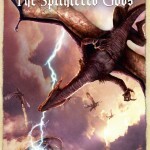 Three short stories are in production for Gollancz to be released early next year (I think). 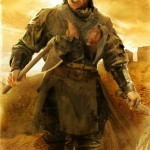 Great series! 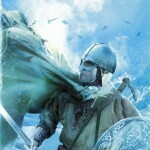 I would like to read the final book in the series(The Silver Kings) but it is not available on Apple Obooks. Is there another electronic venue to get it? 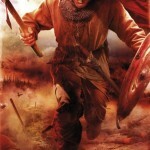 Have read and thoroughly enjoyed ” The Royalist ” and “The Protector ” . More, more , more please !